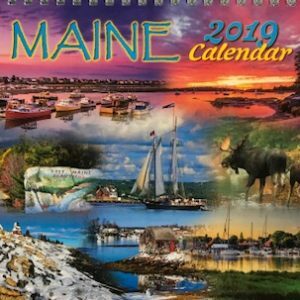 Take a yearlong Lighthouse tour up the seacoast of Maine with the best selling scenic Maine Lighthouse calendar available. This calendar features a 12-month full-color collection of lighthouses images from some of the country's most renown scenic photographers. The awesome images of Maine's most unique and picturesque lighthouses will be sure to bring out the sailor in you. The many Maine lighthouses featured in these extraordinary photographs will make great wall art for any home. A color chart showing the locations of the featured lighthouses of Maine is included. Includes next year's calendar and moon phases for every month. Sturdy paper stock and a thick spiral binding make the quality of this calendar in a league of its own.